What do Gettysburg, Fort Sumter, ironclads, and cats have in common?? 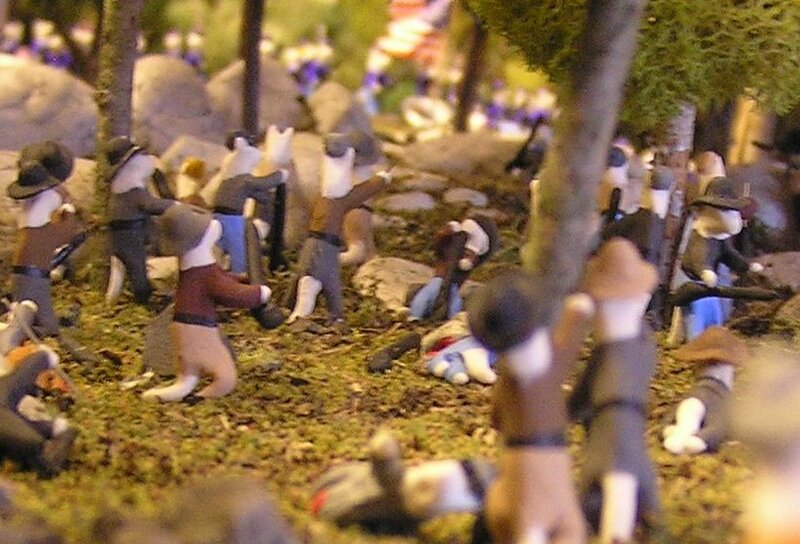 The Civil War Tails at the Homestead Diorama Museum in Gettysburg! In the Copse of Trees during Pickett’s Charge. Civil War Tails is full of miniature soldiers we made by hand so you can see a 3-D snap-shot from the Civil War. Get a bird’s-eye view of a battle or get down to eye-level and see what a soldier would have seen. See the soldiers, the horses, the cannons, and the places. They’re all made with a one-to-one ratio, so each model soldier represents one soldier during the real battle, not ten or twenty. And since they’re made to scale, if the hill looks really big to climb under rifle fire, that’s because it was! But you don’t have to notice the tails to learn the history! At Civil War Tails, you’ll be able to see the smoky desperation in Fort Sumter during the bombardment that started the war. See the cost of Pickett’s Charge by the time the Confederates struggled across the stone wall at the Angle at Gettysburg. Appreciate just how big and rocky Little Round Top was as the Confederates climbed it. Glimpse the suffering of Union POWs at Andersonville prison (our great-great-grandfather’s half-brother, Pvt. 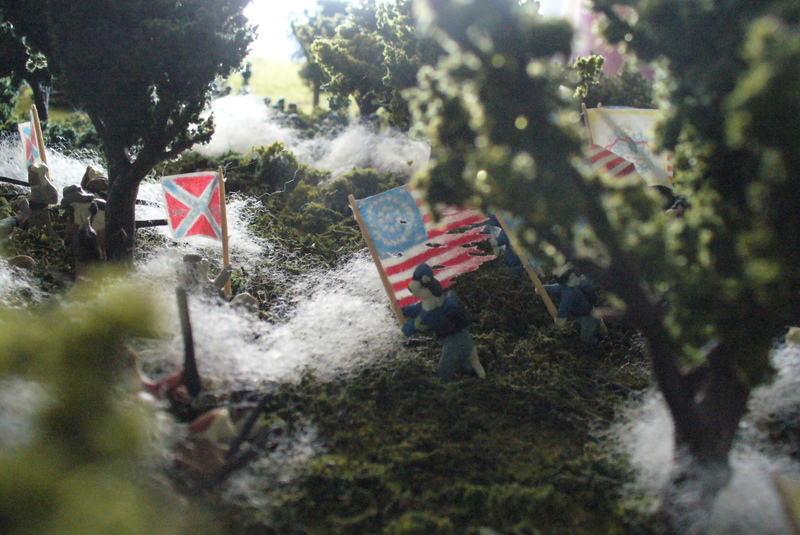 Luke Brown of the 8th Pennsylvania Cavalry, is portrayed on that diorama). Learn the stories of individuals who participated in each event. We can’t wait to share our dioramas and stories of the Civil War with you! You can also check us out at http://www.facebook.com/civilwartails. If you’re looking for something new to do with the kids, Civil War Tails is a great stop on your Gettysburg journey. Our hours are a little unusual, so please check out our Hours & Info page. We are generally open until 8 p.m., so if you’re wondering what to do in Gettysburg in the evening, stop on by! See you soon at Civil War Tails!